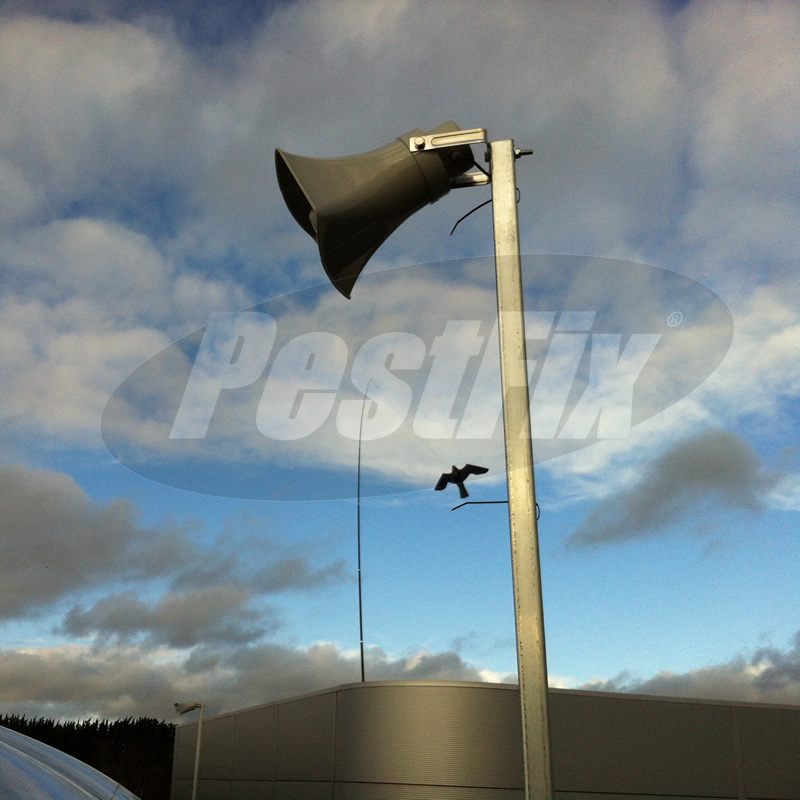 1215/L LOUDSPEAKER; IP66 rated 20 watt re-entrant horn loudspeaker, fitted with fully adjustable mounting bracket. Integrated stainless steel mounting bracket allows the speaker to be wall-mounted or mounted to a scaffold pole using a U-clamp (not supplied) or fence post. Use to extend the capability and range for the Scarecrow B.I.R.D. system. This system is capable of driving up to 30 of these speakers from one system using it's in-built 100 volt DC long line transformer and 3 output channels.